Yen has been for years the currency with the lowest interest rate among all major currencies. Therefore if someone wanted to buy an asset that pay a dividend like income or if that asset would appreciate, they buy by lending in yen, and converting that currency in the currency they use the buy the assets. The asset in question can be (and have been) not other than another currency paying a higher interest rate. When asset prices decline (as has been the case in stocks, and commodities, etc), the loans that were made in Yen have to be paid back. Therefore, now people need to buy yen. Since there have been an accumulation of position over a long period of time, the buyers of Yen all of sudden overcome the sellers of Yen. Supply and demand then dictates a higher price for Yen, and in a shorer period of time. 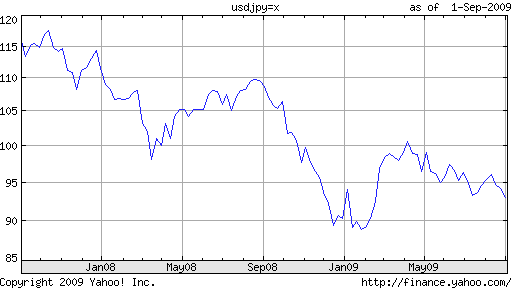 Once the trend is set, speculators use the trend to drive the price of Yen even higher.